Grandkids were so excited to receive this in the mail and the added touch of the ornament was the best. Thanks for putting smiles on there cute little faces. My grandson who turned 8 in November was sick this Christmas and when he received his letter from Santa on Christmas eve my daughter said he started to cry when he was reading it. They put the ornament on the top part of the tree. When my husband and I got there he read it to us. She loved ornament and Santa using her name and saying she had been good and I loved her being excited and telling and showing it to everybody.keep up the good work. Need one for easter. The Santa letters brought joy to ALL the family! Such cute comments such as one child couldn't believe she made Santa's nice list lol and receiving a picture of one insisting her ornament that came with the letter be made into a necklace for her. The Santa letters will be yearly purchases (I'll remain the "secret Santa") probably for life! Thank you, Miles Kimball, for your friendly assistants and timely delivery! My grandkids were thrilled and surprised, Santa took the time to write to them personally! A Santa Letter for my 9 year old granddaughter and it arrived in the mail address to her and you should have seen how happy it made her, to open it up and read her letter from Santa! Santa mentions things about her and sent her a little ornament too, which she loved and put on her tree. You should order your child one too. I order these every year for my nieces and nephew. They are always so surprised and happy when they arrive. My dad sent these to my children every year! The kids enjoy hanging up the yearly ornaments on our tree. My Dad passed away this past year. It is important to me to keep this tradition going! Thanks! My 3 year old granddaughter was so delighted to receive this letter from Santa. I will be purchasing this again next year for her and my new granddaughter. I sent to kids, to an Oncologist, to a suicide survivor. . .there are many many curcumstances in life where you need to get a little magic from you have no idea who! Send a little magic folks. . .it works wonders. . .and try not to let them ever know you sent them! My Grandson was very excited getting a letter from Santa. The personal touch really made him feel special. Thank you. This letter was very well done. I was pleased with the quality of this product. I will certainly order again. I would buy this every year! I would recommend to family and friends! My nephew loved receiving his Santa letter! Kids love receiving the letter. The kids look forward to receiving the letters each year, even the older ones. Surprising great Grandchildren with Santa letters is so much fun. I send these to my Grandchildren they love telling me about Santa sending them a letter & the ornament. Great reminder for the grandkids to be good! This letter made my daughter's day. She wouldn't stop smiling. She even wrote Santa a think you letter. Both the boys were thrilled to receive the letters. The only disappointment happened when only 1letter had the ornament enclosed. I order these every year for my grandkids They love to see letters to them from Santa and the ornament is a keepsake they can use every year. The ornaments are different every year and the year is engraved on it too. I hope they never stop selling these, this year i ordered 13 of them. Items purchased are very cute, they are very affordable and came really quickly, I didnt expect them for weeks. my grandkids thought that the letters were very special, very personal. I hope to be able to do it again next year. WE BUY OUR KIDS ONE EVERY YEAR!! THE KIDS LOVE GETTING THESE IN THE MAIL!! Love that I can send to grandkids from santa. Would appreciate if new letters were added with different design, wording and ornament. Have given the same letter with ornament every other year to grandkids, just to break up the same letter. The letter was a hit. I had one sent to each granddaughter and they loved them. They're being extra good since they know Santa has them on his good list. This added the perfect holiday touch! My 4 yr. old grandson was in awe, very much a surprise and he loved it!!!! I would get this next year for sure!!!!! My Grandson was SO excited about this letter he told his Mom that he made the " nice list". At 7 years it was very important to him! He could read every word of the letter & the ornament went on his Christmas tree! Mom took pictures to show me.. Thanks for the memories of this wonderful Christmas! i buy this product every year. I have used these letters since my grandchildren were young. They are now 13, 11, and almost 7. The 7 year old still believes and the others still want to get them because they love Christmas. Send this to anyone. I have been sending this to my children for 8 yrs now. They are 10 & 9. They still love getting the letters and hang the ornament on the tree each year. 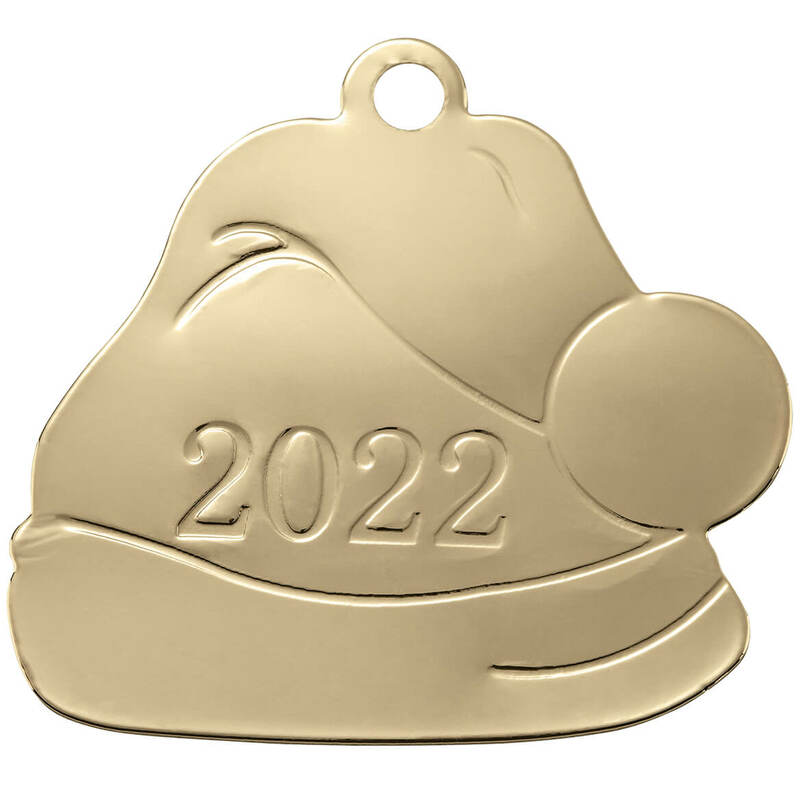 The ornaments are cute and the year printed on each one makes it easy to remember. These make great collector ornaments for when the kids go on their own. The price is VERY resonable for what you get, compared to competitors. I have purchased this over the years for the children in my family. And with the youngest now too old to receive a letter from Santa, I was sad that I could no longer send it to anyone. Then I discovered that my neighbor up the street, had a brand new baby boy. I'm thrilled to be sending this to a little one again. I order these each year for my grandkids. Even though the oldest is now 14, he looks forward to it as a fun thing for Christmas! I have these letters sent to grandchildren and family friends children - the kids all love getting them. 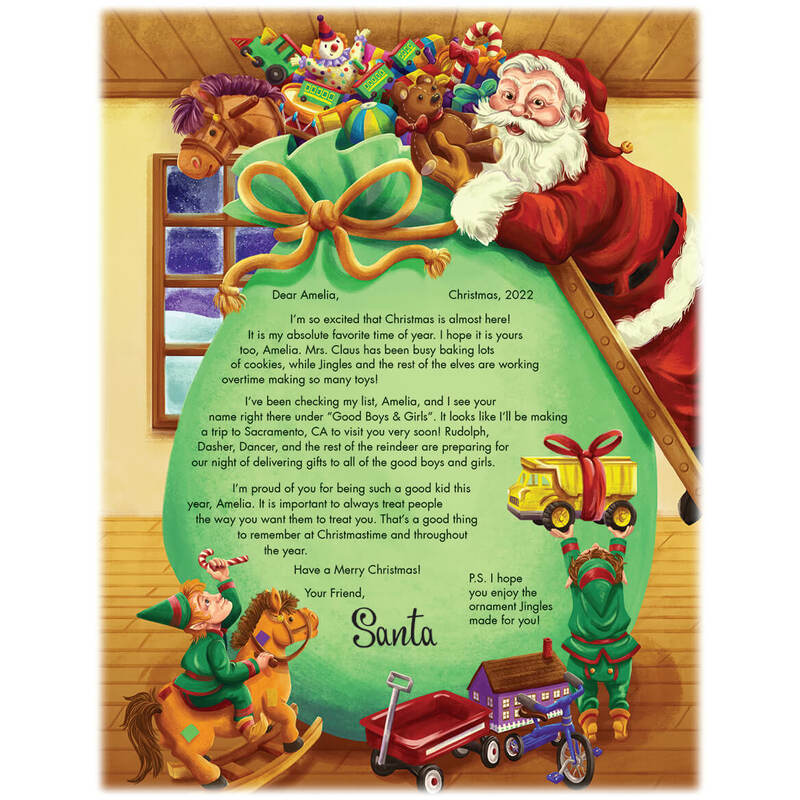 Santa's letter is a thrill for any boy or girl and the ornament provides a long-lasting reminder of the joy. My 6 year old was so excited to get a letter from Santa and the ornament. Thank you for this product. I have been ordering these Santa letters for 12 years! My kids are so surprised when they arrive in the mailbox! With the 3 different selections you can vary it year to year! My girls have started a collection of the ornaments. The best part for me is that I just order it & forget it! Miles Kimball sets the mail date & does all the work! I love it! Every Person will Enjoy a Letter from Santa! I have been getting the Letter from Santa for my daughter since she was about 4 or 5 years old. She is now 22 and I still order it for her every year! She loves getting it and we hang every ornament she has ever received on the tree each year. It's just a fun item that puts a smile on her face and we all need to keep believing in the magic of Santa Claus! You are never too old for that! My grandson has been checking the mail for a letter from Santa, after writing his letter to Santa. The children LOVE receiving the letters from Santa. I send this letter to my Grandson every year. He loves to get it. It is very nicely done and he hs the ornaments on the tree from each year. I like that an ornament comes with this letter. Because I had ordered them last year and I didn't have a problem with the order and got them on time. I am sending Santa letters to children of former recipients. Love this! I love the ornament that he receives with the letter. It is a great keepsake and he enjoys getting the letter! The theme was good for the receiver. The design and wording for my young grandsons. Cute and exciting for my grand kids. They will love it. It's a tradition I started a few years ago for my Grandson. I want him to see the magic if Christmas like I did as a child. Love to see the joy the letter brings the grandkids when receiving a letter from Santa. I order these items every year and the quality and quick shipping is excellent!!! I have been doing this for 14 years for my grand kids, they love the letters from Santa and look forward to them every year! for my son and it looks fun! I've used Miles Kimballs for letter before , they are well received. Very cute and very reasonable. I wanted to do this for my great grand daughter. Although she won't be able to read it for a few years, it is something her parents will save for her. I PICKED THE PERSONALIZED LETTERS BECAUSE OF THE REMARKABLE WORDING TO THE KIDS AND BECAUSE IT'S A LEARNING EXPERIENCE FOR LITTLE ONE'S THAT'S LEARNING TO READ AN AMAZING LETTER FROM SANTA WHAT A EYE OPENER FOR SMALL ONES, AND A BIG SURPRISE A LETTER FROM SANTA JUST FOR ME! WOULDN'T YOU THINK SO? I do this every year from Miles Kimball. My son loves it. I have been doing this since he was 4 years old. He loves getting an ornament also from Santa!! It is so magical!! My son is now 7 years old!. Gotta keep them believing for as long as We can!!! I have had letters from Santa sent from this site for years. 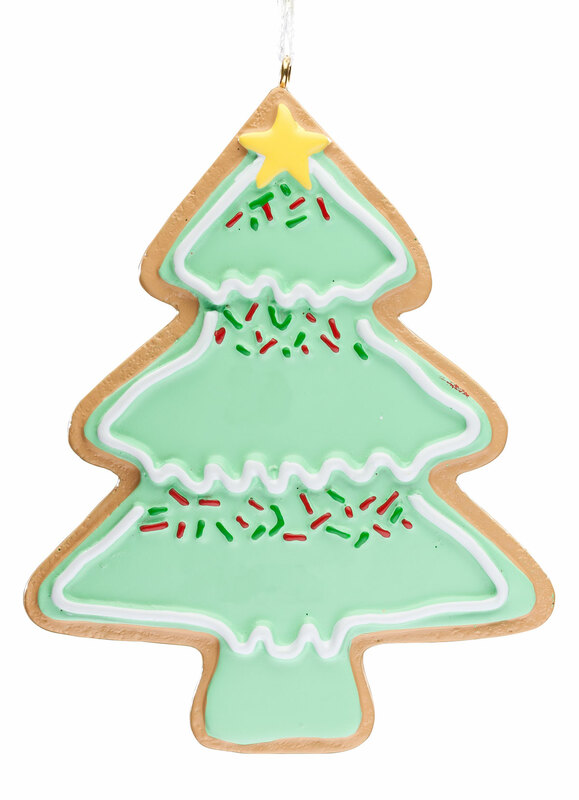 Very reliable and the ornaments are great for the little ones to place on the tree. I send them to my grandkids every year. They love them. Ive done it know six years in a row. BEST ANSWER: Letter does not have to say social studies. You can enter anything you want in that spot in the letter. You personalize it the way you want it. It could be Math, History, Tennis, etc. Hope I've helped answer your question. No, the instructions for the letter say to specify the "child's favorite sport, hobby or activity." They just used social studies as an example in the sample letter. You may include whatever you like. No! You customize it with your own responses! My daughter is 15 and I have sent her one for the last 7-8 years! Dana loves them! 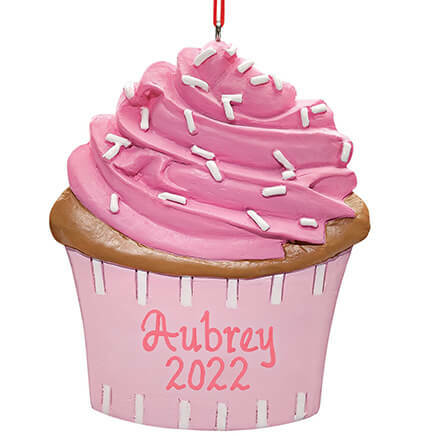 And she has a keepsake ornament for each year! Thank you for your question. The letter can have any activity or hobby the child likes. Social Studies is just an example. We hope this information is help to you. The letter I sent didn't include a school subject. I would check the personalize process to see if you can change that. No, you put in something that pertains to your child, like "baseball' or "spelling", whatever you want. You put anything in that space you want. Whatever applies to the child. No. You enter a hobby, sport, or activity that fits your child. No, That is one of the personalized lines. I have four little girls in the same family age 4 8 10 12 Do you have different letters ? BEST ANSWER: Thank you for your question. 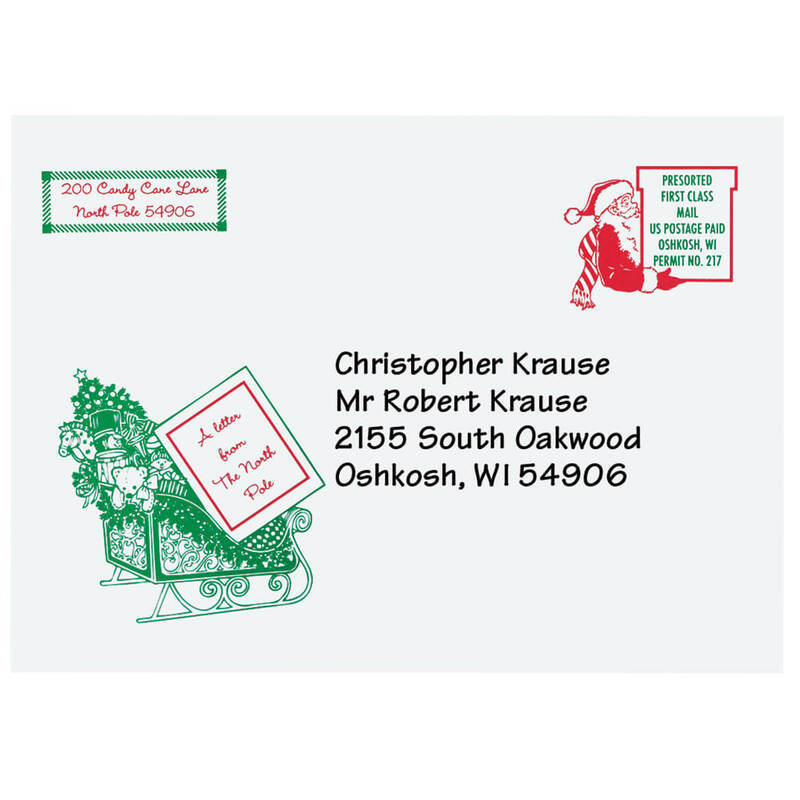 Yes, we offer four different style Santa letters. We have provided a link to the different letters below. We hope this information will be of help to you. I have two grandsons and would like two letters sent. Is this possible? BEST ANSWER: Hi, you can definitely send a letter to more than one grandchild. I suggest picking a different letter for each of them so they feel more special. I have three kids and every year they each get a different letter with an ornament. I must say, once you start sending letters from Santa, it will become a tradition. Have a Merry Christmas! Yes Judy It is possible but you would have to order 2 separate letters....one for each grandson. The letters contain their names so they would have to be to each individual. The letters are really nice and my nephew loves receiving them which also includes an ornament. i have 3 grandsons and have been sending them Santa letters for a few years now. They love receiving them, especially the ones with the Christmas ornament, and look forward to receiving them every year. Thank you for your question. You will want to order a letter for each child, if you would like them to have their own letter. We hope this information will be of help to you. Yes, I send these letters to my two grandsons every year, & they love them!! BEST ANSWER: As long as you put on your order form the children's address, it will be shipped to their house. You might want to give the parents a heads up, I did this for my grandchildren, they are siblings, the granddaughters arrived first and her brothers was a couple of days behind. The letters are sent directly to the children provided you enter their address when you are ordering them. You can send them to the children directly. The billing will be sent to your address. Yes the child will receive the letter if you give the childs address. Yes, they are sent directly to the children at their address. BEST ANSWER: Thank you for your question. 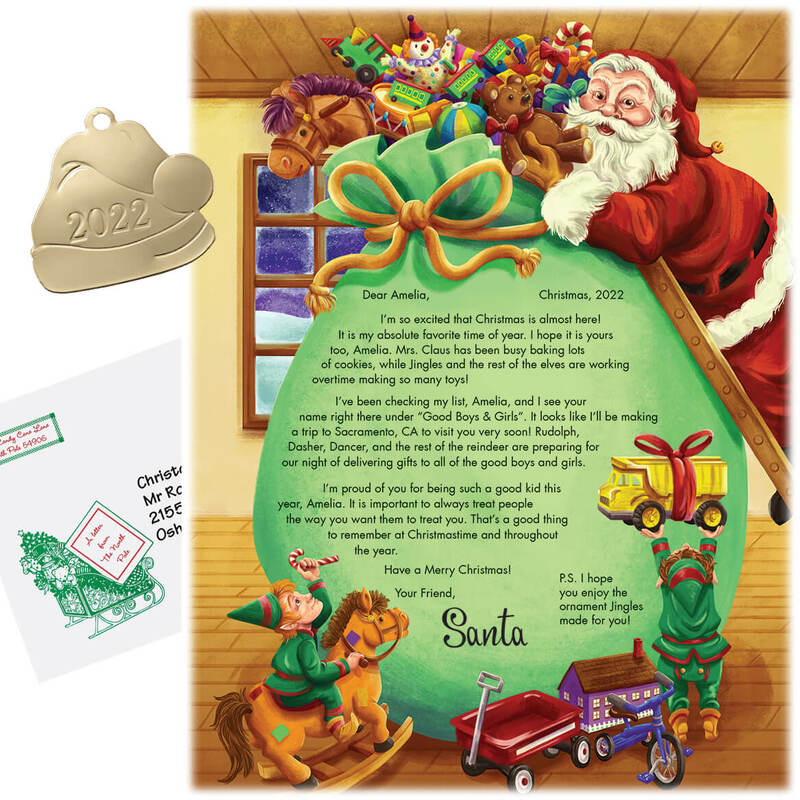 Yes you can place a order for a Santa letter and add that name if you would like to. We hope this information will be of help to you. Is December the only month you can order these ? BEST ANSWER: No, I have ordered as early as August, & Miles Kimball holds the order till about mid Dec. & then sends the letters out to the recipients. If that still does not help you, & you have a question, I would call MK directly to ask just how early you can order. Hope this helps. Thank you for your question. The Santa Letters are still being offered on our website right now until we run out of stock, and we start selling them in the fall of each year for holiday delivery. We hope this information will be of help to you. no I have noticed the letters out as early as August. They could be more than that. I had one sent to my great grandson and he loved it. I have seen the letter it is really nice. They had it hanging on the refrigerator. Hope this helps you out. i ordered in November for a December delivery. If you wanted a Christmas in July or something, you'd have to contact customer service. No you can order this letter now and it will be delivered in December. But if you want it delivered earlier you would have to call. No...I order them before December. no, I order mine in September. how do I get Santa letters sent to child not my address, I have 3 different addresses? BEST ANSWER: I have sent Santa letters for a number of years. They will be sent to any addresses you give them. Some of the letters are also personalized with the children's names and interests. The letters have always been delivered in early December and have been loved by the children. I highly recommend these for the little ones! A real treat for them. I always call in my order. Every person who takes the order is more than helpful and will take your information, repeating it back to you, even spelling names, etc. correctly. All you do is give the child's name and address. It's that easy. I've been doing it for years and now do it for our great grandchildren. 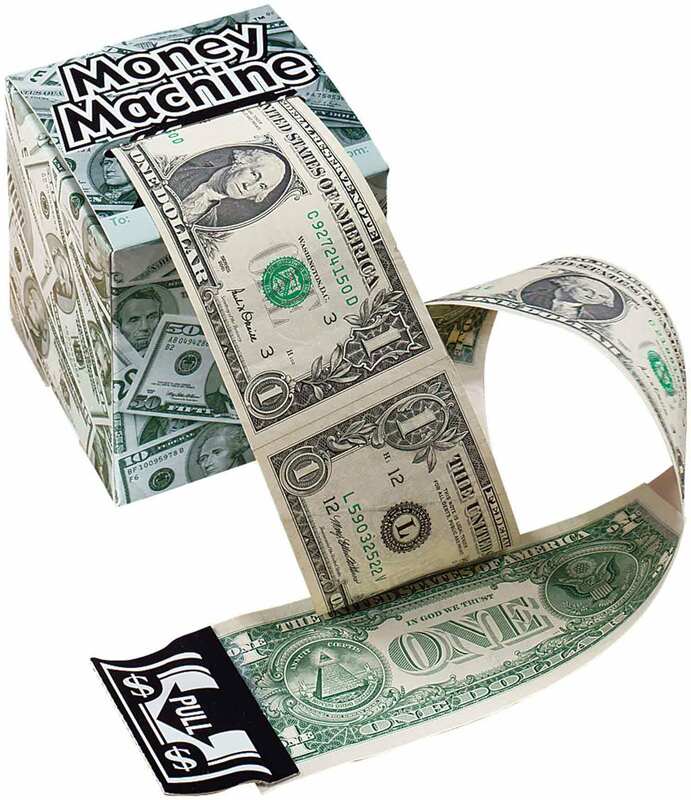 Why does It require head of household name? BEST ANSWER: Thank you for your question. Head of Household is required for Santa letters, not the dickies. We hope this information will be of help to you. BECAUSE MAIL USUALLY DONT GO TO CHILDREN. IT WILL JUST SAY THE CHILDS NAME THOUGH! Hi, do you keep the addresses from last year that i had sent? BEST ANSWER: This has to be completed on a year to year basis; I don't order the same letter sent to the same child the next Christmas season. I ordered four and none were delivered. What is the non personalized letter like? BEST ANSWER: I ordered this for niece and nephews for the last five years, but I always included their names, they all liked it. The letter makes the child happy that Santa thought enough to send a letter to her. She also received a medallion to hang on the tree. Thank you for your question. This letter is not available without personalization. We hope this information will be of help to you. what would I put for hobby/sport for a newborn baby boy? BEST ANSWER: Favorite new sport is rocking with mommy. Hi I have a question. I have a total of six nieces and nephew’s. I went to place the order and a personalized each and every one under one shipment. It asks for each of their addresses which I put in when you personalize it. But then when you go to check out and asked for a shipping address? I don’t understand? Is the shipping address asked for only for the billing information? Or is it that I have to do each of my nieces and nephews order separately? I really need to get these ordered ! BEST ANSWER: Thank you for your question. Yes you will need to enter in all the addresses for each niece and nephew. We hope this information will be of help to you. Will I receive an email when the letter is mailed? BEST ANSWER: Thank you for your question. Yes an email is sent out when any order ships but the letters will not have tracking numbers. We hope this information will be of help to you. how long does it take the letters to arrive ?. I ordered 2 before Thanksgiving but they havent recieved them . BEST ANSWER: Thank you for your question. We suggest you call our Customer Service department at 1-800-255-4590 for further assistance. We hope this information will be of help to you. It won’t let u put your whole address??? I am sending this for my Grandaughter. The instructions are confusing it asks for head of household whose name do I put her parents or me also it asks for address on second envelope whose address do I put ours or hers? BEST ANSWER: Thank you for your question. You need to put the parents name where it says head of household. Then put the childs address on both letters. We hope this information will be of help to you. Where on the letter is the head of household put? BEST ANSWER: Thank you for your question. 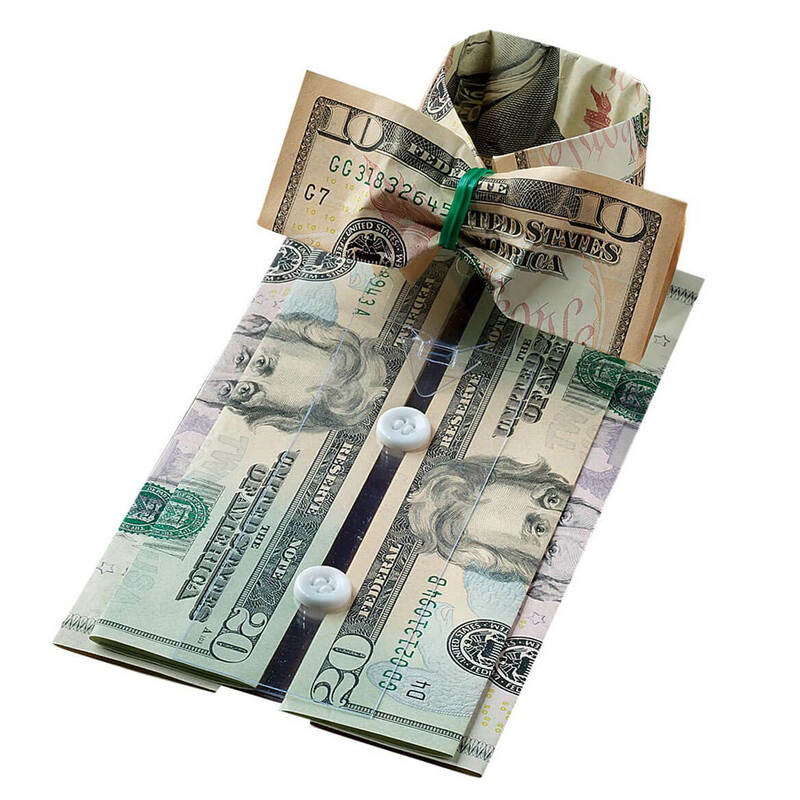 The head of household is printed on the envelope only. We hope this information will be of help to you. I have 2 grandsons and would like to order 2 of these letters. Is that possible? BEST ANSWER: Thank you for your question. You may order 2 separate letters for each boy. We hope this information will be of help to you. Something wrong with page 2 of order form for this letter from Santa.....not sure how to fill it out?? BEST ANSWER: Thank you for your question. The first page of information is for the letter. Line 1 is the child's name. Line 2 is the city and Line 3 is the State. The second page of information is for the envelope. Line 1 is the child's full name. Line 2 is the Head of House hold. Lines 3, 4, and 5 are for the child's address. We hope this information will be of help to you. I am trying to order but when do I get to personalize it takes me to check out and does not give the option to personalize or put in the kids address? BEST ANSWER: Thank you for your question. This issue should be fixed on our website and you should be able to personalize this now. If you are unable to you may call and we can place your order by phone. We hope this information will be of help to you. When will the Santa letters be available? BEST ANSWER: Thank you for your question. The Santa letters are available as of now. We hope this information will be of help to you. how to add to cart? BEST ANSWER: Thank you for your question. After you add personalization to the item it will let you add it to the cart. We hope this information will be of help to you. I am trying to order the Santa letter but the website says it is not available. Your catalogue says orders must be placed before Dec. 10. Please help. How do I order the letter? BEST ANSWER: Thank you for your question. This item is available but by a telephone order only at this time. We hope this information will be of help to you. Is this going to be available soon? When will this item be available? BEST ANSWER: Thank you for your question. This item is unavailable on our website but you may phone in an and order for it. We hope this information will be of help to you. BEST ANSWER: Thank you for your question. The ornaments are the same design for each letter. 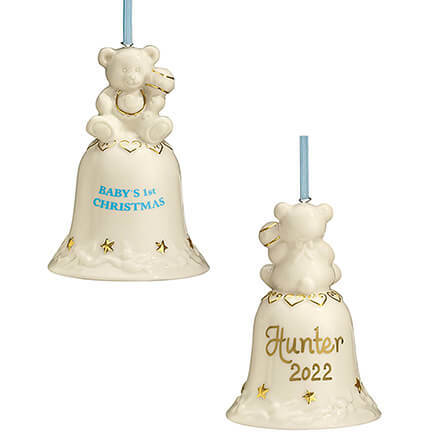 If you want to receive two separate ornaments, two letters will need to be order for each child. We hope this information will be of help to you. will my letter be received before Christmas? BEST ANSWER: Thank you for your question. As long as the letter was ordered before 12/10 the letter will arrive before Christmas. We hope this information will be of help to you. Many of the examples for various fields do not match the information being requested. See examples below. Will you please fix this? Please advise. Please submit your order and call Miles Kimball Customer service at 1-800-255-4590 so that we can adjust the personalization.